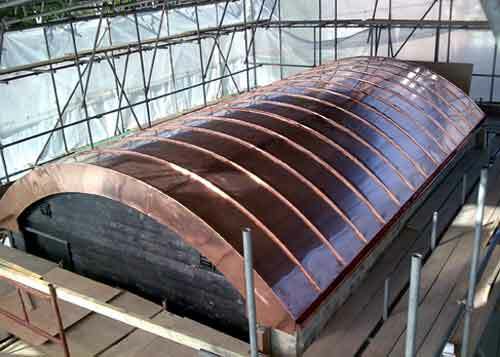 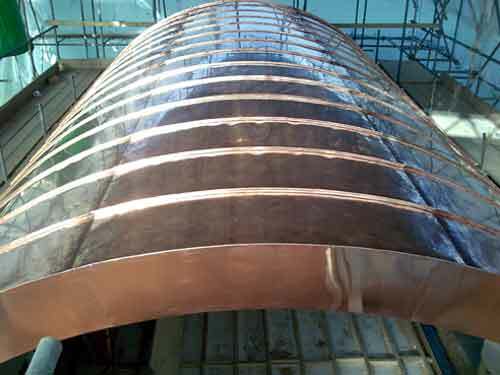 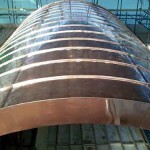 This job comprises a barrel-vaulted copper roof sitting above a swimming pool house in a private garden in Kent. 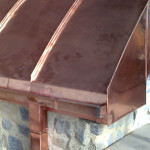 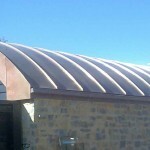 Notice the attractive square gutter and downpipe, featured in picture 3. 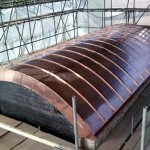 Notice that in the more recent, bottom picture, the copper’s initial brightness has faded. 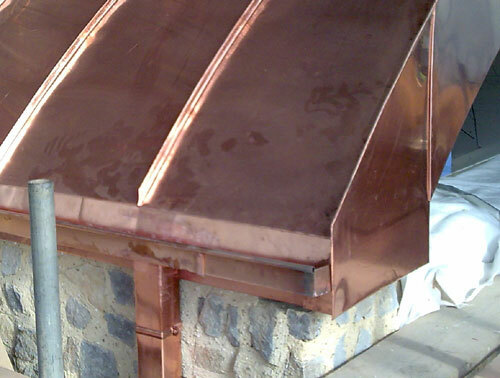 It will now start to turn to chocolate-brown and, eventually, turquoisey-green.